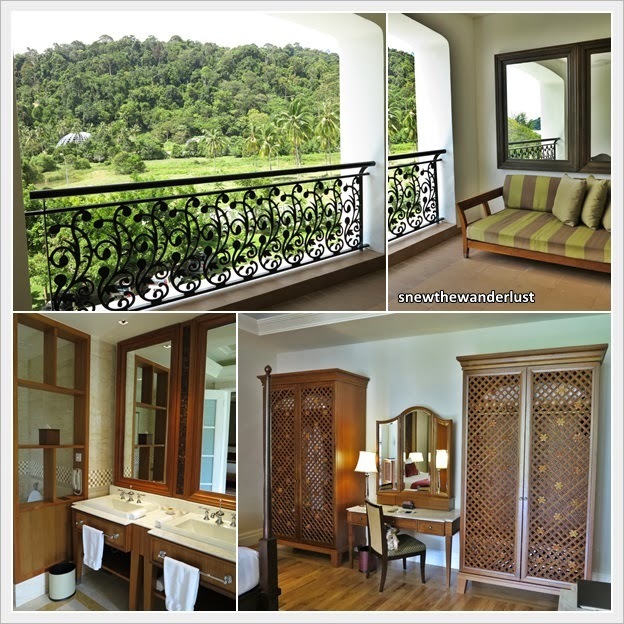 The Danna, may well be one of the most overlooked hotel in Langkawi. The six-storey white building takes after a colonial-style architecture, but very much less formal in atmosphere compared to the likes of Raffles or E&O Hotel. The location was not too far from the airport, and it's very near to the Cable Car Station. It is, however, a distance from the Kuah Town. 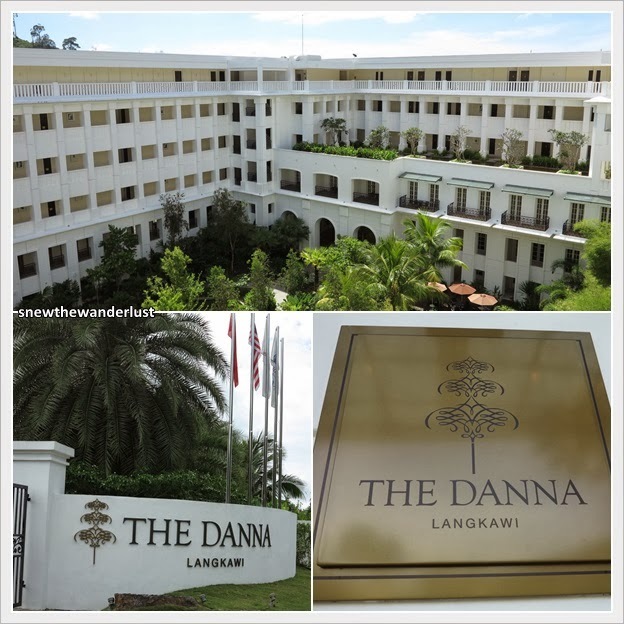 The white colonial style building of Danna reminds one of the style of E&O Group and the Raffles Hotel. We arrived at our hotel just before noon. Check-In was done at the comfortable sofas where the staff bring the documentation to us, instead of us queuing behind counters. 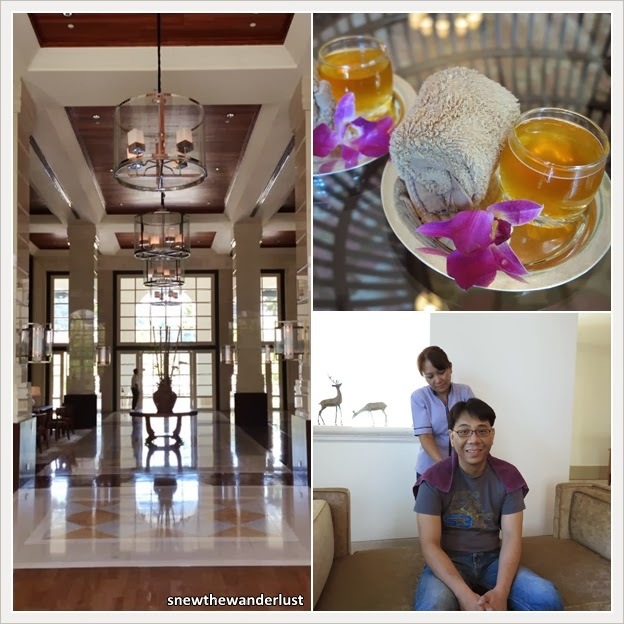 Not only were we given cold towels and welcome drinks, we were also given a 5-minute shoulder and back massage by the masseurs from the hotel spa. As the room was not ready, the duty manager took us on a tour around the hotel. The Verandah is designed in the colonial style with a high ceiling. In the late afternoon, the place turns into a charm where guests enjoy drinks over lounge music. 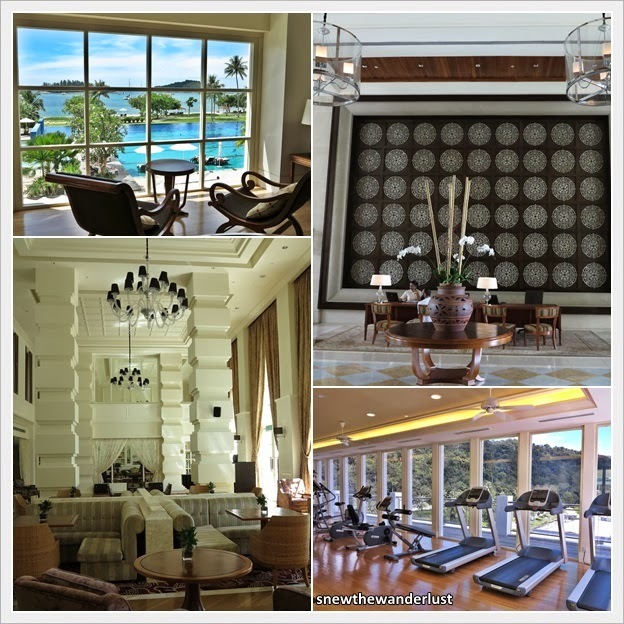 There's also the gym, the spa and chill out areas where guests can just relax in. There is even a games room with a pool table. DVDs of movies were available on loan to watch either in this room or the comfort of your own room. The deal-breaker of our decision to take Danna lies with the pool. Looking through all the possible choice of hotel, I think Danna offers the most impressive pool facilities. As we reckon that we would spending most of our time at the pool rather than the sea, our criteria was a good pool. There are altogether 3 pools that are linked together. The adult pool was designed with an infinity edge, the kids pool and jacuzzi pool all sectioned together. The pool enjoys both the sea view and the mountainous view. Needless to say, this is the place that we spent most of our time when we are at the resort. The rooms is huge at 60sqm. It brings a woody charm where the furniture are colonial-style design, made modern. No wonder this is the hotel which Caucasians love. This is a change for us from the usual modern business-style hotel, but we love the change. Breakfast is served at The Planters. 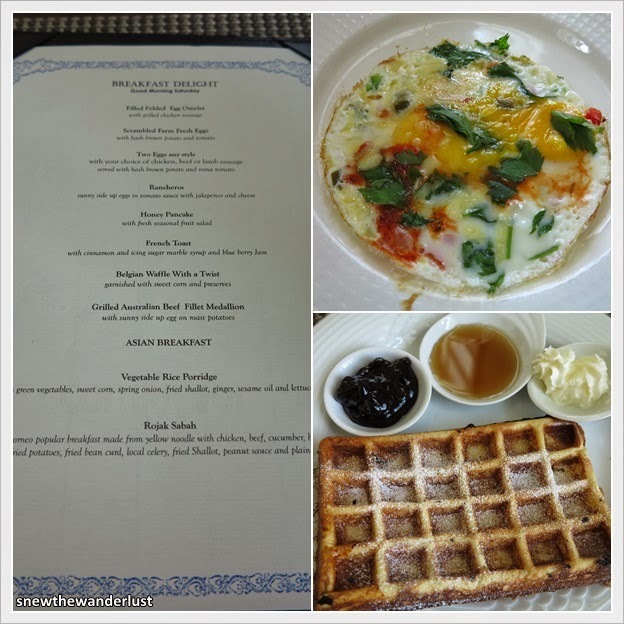 The buffet breakfast serves a wide variety from local delights to Western. 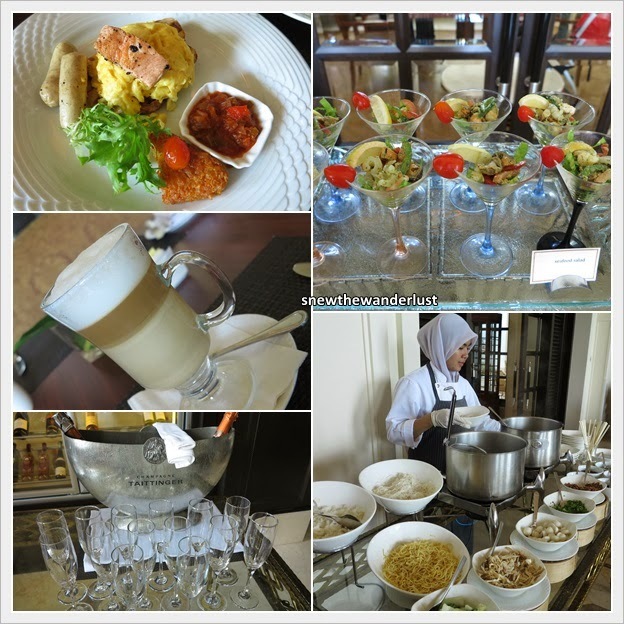 Other than the buffet breakfast, we can also choose a main course from the daily menu. Choices in the daily menu range from Egg Benedict, to Waffles to Asian Porridge. The Western choices are definitely better than the Asian choices. The food served is truly good quality. This, coupled with good presentation, makes it perfect. In fact, we were so full every morning that we just skip lunch. Champagne is also available for breakfast. Don't get drunk at the start of the day thou'. To be honest, we didn't have any high expectation of this hotel when we made the decision to stay here. After all, how much can one expect out of a non-branded hotel in Malaysia? However, the service that rendered was so flawless that it has set a high standard in our expectation of the next holiday resort. Impeccable service. Something that I am really impressed with for this hotel. There were a few occasion where the service really exceeded our expectation. 1. When the room was ready, the duty manager saw us dining at the cafe, and ran back to the lobby and personally brought the keys to us (instead of us going back to the lobby area). 2. Our flight was late in the evening. We had a late check-out at 3pm. Thereafter, we were also offered a hospitality room (with no question asked) to freshen up before making our way to the airport. 3. Politeness and Helpfulness of the Staff. After staying in numerous hotel in the world, this is the only hotel that truly impress upon us. The service rendered was from the heart. The staff remembers our name and request. When they promised to check on our request, they came back to us with an answer promptly. Kudos to the team! 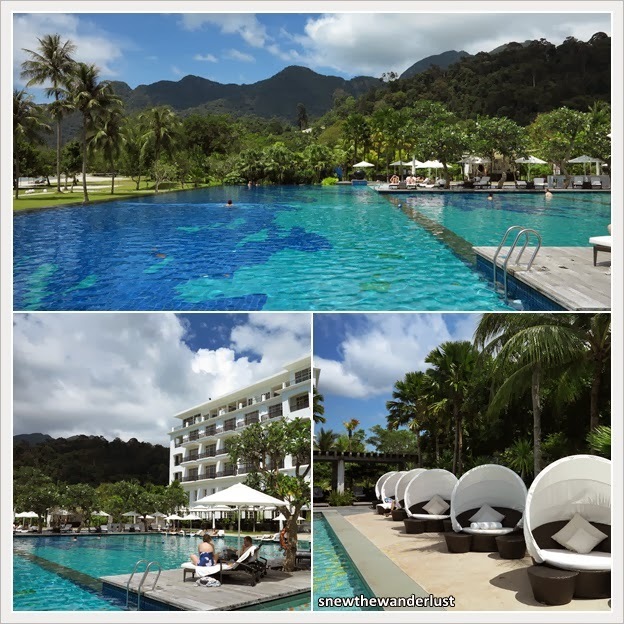 We definitely recommend this resort to anyone going on a holiday to Langkawi.